This topic provides a step-by-step instruction on how to manually add Intersoft products to Visual Studio Toolbox using Toolbox Utility tool. 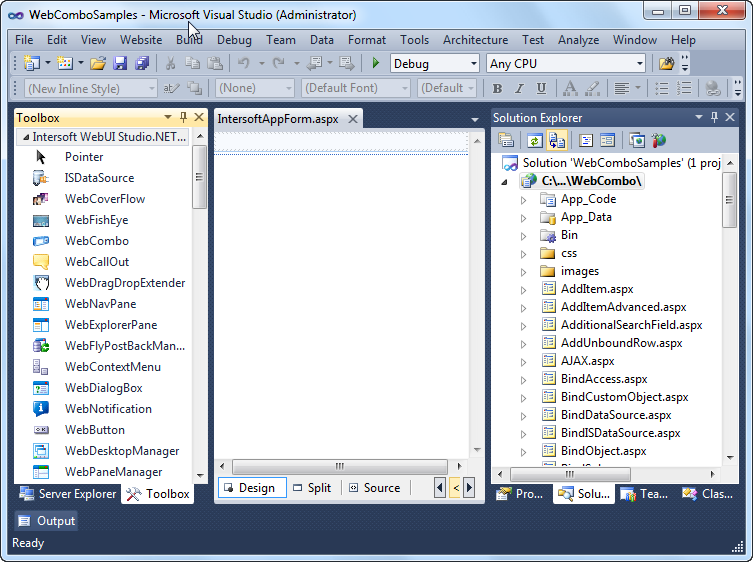 Select on the Visual Studio platform you want Intersoft products to be installed. By default, it will automatically select all Visual Studio versions installed on your PC. Click Register to run the tool and wait until the process is finished. Finally, open your project and you will notice that Intersoft products has been installed successfully into Visual Studio Toolbox.